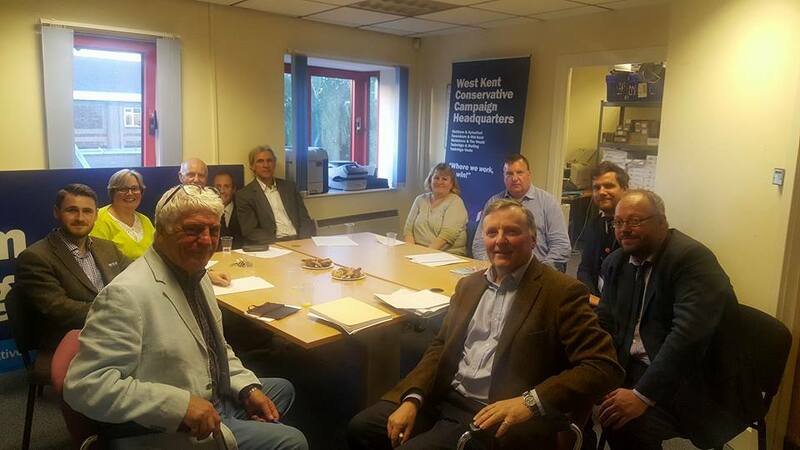 Since Friday over 200 people have joined the Conservative Party in West Kent. That's an enrollment rate of 100 per day. Fifteen more this morning, and it's not yet 10am. 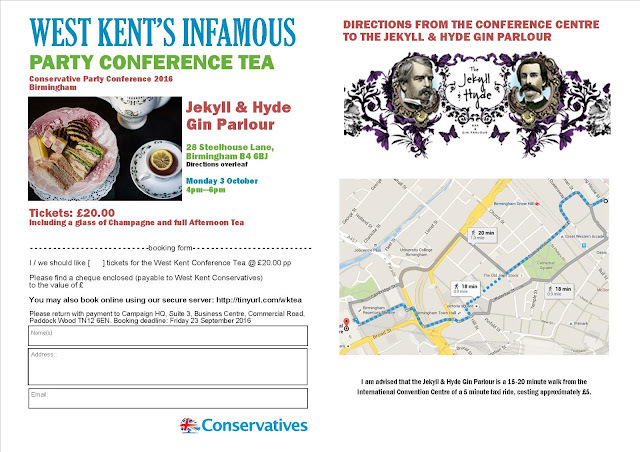 They have all enrolled at the full £25 rate via the CCHQ website. I will be writing to all the new joiners on Monday to thank them for their support and at the same time I will send them an online survey to try and ascertain why they joined. Many local agents and organisers have contacted me aboiut a membership recruitment campaign, and knowledge of what is driving this interest might be useful ib hiw we approach recruitment in the weeks ahead. I will publish details on this blog as soon as I have something of interest to share. 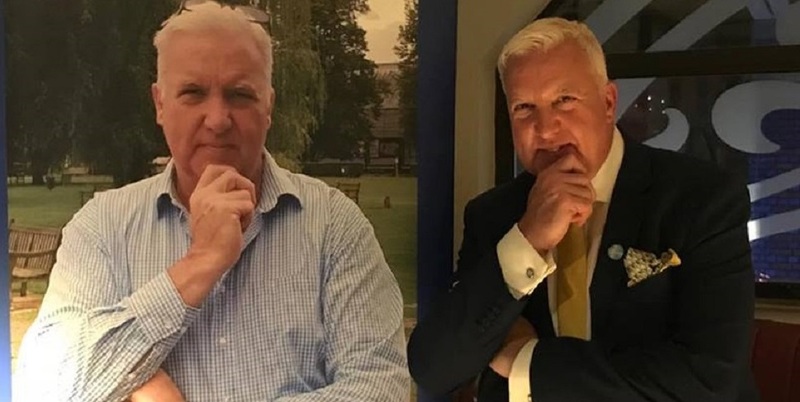 At around 11.00pm on Thursday evening, before Newcastle and Sunderland changed despair into hope, David Dimbleby was interviewing Iain Duncan-Smith on the BBCs Referendum Night programme. Dimbleby asked IDS how he and the Vote Leave team would react to the constitutional crisis which would follow if England voted for Brexit but Remain won due to the votes of Scotland. IDS was clear. "We are a United Kingdom and we will accept that result. The votes of all British people have equal value." 24 hours earlier, late on Wednesday night, I believed that we were going to lose. I knew in the event of Remain winning that there would be anger, dismay and demands for another vote. I wanted to blog but knew that in the early hours of Friday morning, following a hard day on the doorsteps and a stressful night with no sleep, I would not be in a good emotional place to write. I therefore wrote the following blogpost in advance (along with another more optimistic version just in case we won). Some of you might understandable think I have written this retrospectively to help with my narrative, but I can prove that not to be the case; I sent a draft copy to one of my local MPs and one of my Chairmen for their comment. We now know the outcome and to my delight my second "be gracious in victory" blog was published on Friday. I assumed these words would never see the light of day. Why should they? Sadly, the media firestorm from those who support Remain, the petitions calling on the government to ignore the democratic will of the people, the demands of David Lammy for Parliament to pretend the vote had never taken place, and the positioning of the 'establishment' to hold a second referendum, have made me change my mind. When I wrote this post it was meant to trey and stop disappointed Brexit campaigners for making a fool of themselves and damaging their case. The words are just as true for the other side. For me, and I suspect most of my readers, this will be not just bitterly disappointing, but the end of a dream. My personal journey began in the early 1980s. At that time it was tough being a Eurosceptic in the Conservative Party. At Party Conference the platform was flanked by a Union Flag on one side and the European flag on the other; hostility to Europe was a minority interest, and a young man wearing a “Set Britain Free from the EEC” lapel badge was an unwelcome guest. There will be a temptation from Brexiteers to cry foul. Please don’t. Yes, the fight was unequal. Yes, the Remain campaign had the backing of the Government, the Establishment, the business community, the international community, and even Bob Geldoff and the Pope! In comparison, we were a rag-bag army of true believers; libertarians, Tories, UKIPers and several very odd people who wear a suit on a Saturday. It was optimistic to believe that our David could ever slay that Goliath, but we were right to try. Yes, the fight was not fair nor balanced, and it was bloody. The £9,000,000 spent on government propaganda was a blow. The warnings of war, terrorism and economic Armageddon were alarmist. The accusations that we were all “Little Englanders” were very hurtful and also untrue. The finger pointing and blame over the tragic murder of Jo Cox was (quite frankly) obscene. This was a fight between the little people and the Establishment. At the end of the day, they may have been unfair, they may have been underhand, but nothing they did was illegal. In 30 years as an Agent I have helped over 2,000 Conservative candidates over the finishing line. When I act as Agent or Campaign Manager I use every tool at my disposal to help my team win. I never break the law, but I’m sure there are hundreds of defeated opposition candidates who think I have acted unfairly. From using my contacts to attract hundreds of activists, to swamping seats with literature (printed in house at a fraction of the cost), to using our database to target key voters. None of this is illegal, but it creates enormous bad will from those who lose. In doing this I am congratulated by friends, colleagues, and candidates for my ruthless efficiency. This is just what the Remain side did - they used every tool at their disposal, just as any campaign team must do,. The people of Britain do not tolerate bad losers. In 1997 the MP for Winchester, Gerry Malone, lost his seat by 2 votes. It transpired that over 30 Conservative Party votes were not counted due to an error by a Presiding Officer who didn’t stamp the ballot papers with the “official perforation” which was required at the time. The Presiding Officer admitted his error. Had these votes been counted Gerry Malone would have held his seat. Understandably he went to an Election Court which upheld his complaint and ordered the election to be re-run. Despite a solid and proven case the Conservative narrative of “fair-play” was overwhelmed by the LibDem narrative of “bad loser”. The LibDems held the seat by a majority of 21,556! Those who want us to enter “Neverendum”, or are seeking technical reasons to run the vote again, need to accept the reality that we lost. I don’t like it, you don’t like it, but the people have spoken. We will do no favours to our cause by playing the victim card and demand that we vote again. We fought like tigers but, quite simply, we didn’t make the case for change." It was a pleasantly warm autumn day in 2012, and life pootled on at the West Kent Campaign Centre . I was replying to email, and our office manager, Jon Botten, was opening the morning’s post. A sudden and loud expletive from Jon indicated that all was not right. I looked up with concern, as a few weeks earlier we had received a letter containing razor-blades and was fearful that it had happened again. The reality was worse. Jon was standing, clutching an envelope – out of which was pouring a suspicious white powder. We laughed, nervously, in that over-confident way that blokes do when they don’t wish to show they’re afraid. “It must be a hoax. Isn’t it?” I asked, trying to sound reassuring, but both of us were clearly conscious of the consequences if it was real. Not wishing to cause an unnecessary fuss (in that frightfully British way) I called my contact in Special Branch. All I wanted him to do was to tell me what Ricin looked like, so that I could confidently reassure myself that the powder spread over Jon’s desk was something else. I got as far as “we have received a letter with white powder in it....” when I was told to close the windows, stay inside the building, but move to another room. “Someone will be with you in ten minutes”. Almost immediately a police car arrived – within 30 minutes they had sealed-off West Malling, and evacuated the shops, businesses and local residents. Emergency response vehicles filled the Georgian High Street with alien flashing lights; police, fire brigade, ambulances, decontamination units, and even the army. Two men in hazmat suits entered the office. Jon and I had to change into disposable paper-suits, before being led outside for medical assessment. Whilst this happened a robot retrieved the package for testing. More teams went in to clean up the powder and the surrounding areas. By this time the Press had arrived and news of a “Chemical Attack on a Conservative Party Office” was spreading. A live minute-by-minute account was being posted on the local newspaper’s website, with the story being picked up by regional media. Fortunately, two hours after Jon had opened the package, the substance was proved to be harmless – it was actually ground, bleached, sand. Jon and I were conscious of the Press, and their shouted questions from behind the safety barrier. What I didn’t know, however, was the sub-plot developing alongside the official story in the Comments section of the newspaper. Using false names, and with pernicious disregard for truth or accuracy, it was all, apparently “a set-up”. ‘Centurion’ thought it “served [us] right” – ‘Jelly-Belly’ said we “deserved it, as [we] were part of the ruling class”. And when it was announced that the powder was harmless, then, according to ‘Vanguard’, it was “clearly a hoax to try to gain publicity”. This comment, however, was somewhat kinder than that of ‘RageAgainstTheMachine’, who expressed regret that “Kent wouldn’t be rid of two evil Tories”. As far I as I know none of these people knew either Jon or me. None of them were there to see what was really happening. And none of them cared about our wellbeing, or that of the local traders who lost an afternoons’ business, or the anxiety of local residents as they were evacuated, or to our families who heard of a “suspected Ricin attack” at the Conservative Office in West Malling, but were unable to contact us for two hours to see if we were OK.
What concerned me most is how the anonymous lies started to feed the story. Suddenly journalists, writing up the “attack” on West Kent Towers, drew on the “Comments” to add colour to their story. There was a reference to “an attack which many thought could be a publicity stunt”, and in one case, “Residents are asking if this was done to garner sympathy for the Conservative Party.” News spread around the town that we had “brought it on ourselves”. An accusatory letter was pinned to the front door, and even the kindly lady in the newsagents asked me if it was true. No doubt a degree of impropriety over expenses, and one or two bad apples, have not helped. But no-one thinks that every doctor is a murderer because of the actions of Harold Shipman, any more than they believe that every businessman is corrupt because of the history of Robert Maxwell. Yet in the court of public opinion all politicians are now fair game. 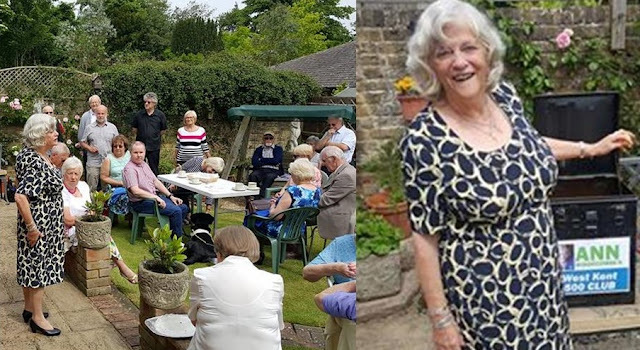 Councillors are all “on the make”, MPs are all “on the fiddle”, those of us who work in political support roles “deserve what we get” – after all, we are “all as bad as each other”. From this irrational hatred comes irrational anger. “Fathers for Justice” think it’s acceptable to throw condoms filled with talcum powder at the Prime Minister in Parliament. As a consequence, a screen is erected to keep our politicians safe (and who came blame them?). In West Kent, instead of an open-door, welcoming visitors and passers-by, we now have CCTV and an entry phone (and who can blame us?). After being followed around by a stranger one night in Sainsburys, Tweeting the contents of her shopping trolley, one Kent MP now drives outside the constituency to shop (and who can blame her?). And, after the appalling events in West Yorkshire last week, many MPs will be under pressure to change the way they interact with their constituents (and who can blame them?). Yet, as our politicians understandably retreat to safety – so this will feed the anger of the mob, who will claim that they are becoming increasingly remote. This anger will feed more anger, until we all descend into another self-fulfilling layer of hell. What these “haters” fail to appreciate, is that their anger, their vitriol, and their loathing is part of the problem, not the solution. For around a decade we have heard the cry that “better people” should be entering politics. But this coincides with the same period when our Members of Parliament have had their remuneration frozen, their private lives exposed, their personal frailties ridiculed, their honour denigrated and their motives questioned. Is it any wonder that many of the people we need in Parliament decide it simply is not worth the sacrifice? I never believed, for one moment, that the majority of people thought that Jon and I were responsible for the attack on our office – but, as so often happens (whether through fear or ignorance), the majority stayed silent and allowed the debate to be shaped by the angry mob. Since the death of Jo Cox almost every politician I know has received emails and calls of support as people hopefully start to appreciate the good work they do. It is a tragedy that it has taken the death of such a promising politician for us to reach what I hope is a turning point. It may be difficult for many outside observers to believe, but even in this "fog of war" the day-to-day life of local Conservative Associations and grassroots politics continues as before. This week the West Kent Campaign HQ has organised teams to provide Campaign Support in Tooting, we are arranging the usual round of social events, including two annual dinners, barbecues and quiz nights, this week I have attended two Executive Council meetings, 2016 Summer Draw ticket reminder letters are about to be dispatched, we are launching a new Patrons' Club in Maidstone & the Weald, and last weekend the great Ann Widdecombe came back to West Kent and spoke to members and supporters at a packed coffee morning in her old Maidstone constituency, where she also pulled the 500 Club winners. Tonight we hosted an informal evening for potential new County Council candidates, where those interested in standing for election were invited to hear from me about campaigning and from an incumbent County Member about the work of the County Council and the difference he feels he makes locally. My thanks to Cllr Richard Long who gave up his evening to speak about life at County Hall. It was good to see so many people interested in public service, particularly two people below thirty years of age, who are insufficiently represented in local government. You know you are at a Tory Party Coffee Morning when one of the raffle prizes is a Free Hearing Check-up! And the guests are all hoping to win it. Not my usual topic or style, but after nine days holiday and in the midst of this brutal referendum campaign, I was keen to write something gentle. When I launched my blog four years ago it was called “Voting and Boating”. The idea at the time was to blog about my two passions in life: politics and Britain’s wonderful inland waterways. Over time the balance has swung heavily towards politics, inevitably as I spend much more time in the office than I do traveling our canals and rivers. This last week however I have travelled the entire length of the navigable freshwater Thames, from Lechlade in Gloucestershire to Teddington on the edge of Greater London. 135 glorious miles through 45 locks, with overnight stops at Oxford, Abingdon, Goring, Henley, Windsor and Weybridge. In the fog of the EU war and the cruelty of blue-on-blue, this journey was nourishment for the soul; evocative of childhood adventures with new places to visit each day, and bucolic scenes of such beauty and magnificence that they made one’s heart leap with joy. By way of change, I am using this week’s column to write about our waterways, the people who have made them their home and the opportunities they can provide. Some readers will know that my partner and I live on a boat. Home is a 60ft Dutch Barge, moored on the River Medway at Rochester. Living in a boat was a matter of choice. We love the sense of community which still exists on the water, the idiosyncratic lifestyle and the sense of freedom it provides. There are other advantages too; we never arrive at our holiday destination and chastise ourselves for forgetting to pack a corkscrew…the corkscrew, camera, cooker, fridge and every other household appliance (as well as our cats) come with us! Residential moorings with full planning consent: these are like hens’ teeth, especially in London and the South East. Local authorities are reticent to grant planning permission as applications of this nature are “unusual” and there are understandable concerns from the Environment Agency and the Canal & River Trust over waste disposal, especially sewage. Where permission is granted (such as the boatyard where we moor, where there are perhaps 60 residential boat owners) these are often historical and come with bizarre conditions such as how many hours each day the boat is in water! Non-residential moorings which in reality are. Almost every marina I know has a significant number of permanently-occupied boats, even if there is no planning consent. The usual vagaries in planning law makes enforcement almost impossible. Whilst you might not be able to use your boat/mooring as your main home, staying on your boat for prolonged periods is quite legal (provided your main home is elsewhere – often a son or daughter’s house hundreds of miles away!) The problem with this ad-hoc arrangement is it provides little security for the boat owner, no Council Tax receipts for the local authority who provide the services, and the ever-present threat of investigation for the marina owner. Most marina owners are only too pleased to have a number of residential boaters; they can be charged a higher mooring fee, they provide security in what are often rural places and they help build a sense of community. A simple change in planning guidance could improve this situation to the benefit of all concerned with relative ease. Permanent Cruisers. I suspect these are the biggest single group. Often retired, they have sold their large family home and used the proceeds to buy a small flat (often in warmer climes) and some of the balance to buy a modern high-spec narrowboat or barge. They spend the spring, summer and autumn months on the inland waterways, going wherever takes their fancy – staying a day or two here or a week in some busy or favourite town, before moving on. I am covetous of their lifestyle and look forward to being able to join them (though I still need to convince my other half). Permanent Cruisers who technically aren’t. There are, however, a large and growing number of people who claim to be “permanent cruisers” but clearly are not. These are people who have often been forced onto boats through circumstances of life. They may have a job locally or children at local school and need to be resident nearby. They habitually stay the maximum permitted time before moving a mile or two along the river. Then a few days later they are “moved on” again and return to their original location. On this week’s journey we saw more of this than ever before. It was difficult to find mooring space in several popular towns and this causes irritation for local traders who feel they are losing visitor revenue as well as for visiting boaters who cannot find a place to moor. Oxford is a prime example. The popular stretch of river east of Folly Bridge provides the town’s main mooring facilities, but these have been occupied by “permanent cruisers” for at least 12 months. The Council has applied for a summons to move them on – but to where? Moving the problem a mile along the river doesn’t really solve it, and impounding the boats and evicting the residents would result in making them homeless and in need of rehousing. Perhaps a solution is for each major town and village to identify a stretch of river bank which could be turned into semi-permanent moorings for those who need them. This would help manage the situation, ensure access to the support services and facilities they need, whilst freeing-up valuable town centre short-term mooring for the purpose intended. Living on a boat is not for everyone. There are constraints and inconveniences which many would find intolerable, but for others these niggles are a small price to pay for the beauty of light on the water, the gentle movement of the tide, the regular visits by ducks, geese and swans and a sense of community which is now almost extinct in much of urban Britain. It is also fair to say that buying a boat is much easier and cheaper than buying a house. A perfectly serviceable boat can be bought for low thousands whilst higher-spec boats run into hundreds of thousands. The provision of more residential moorings could provide an opportunity for thousands of people to have a home of their own whilst saving for a deposit. It would also provide security for those presently living on the borders of homelessness and ensure they paid their fair share towards the community in which they live. It's not often an email from a Remain supporter cheers me up, but this one did (for all the reasons it was not meant to). Obviously being 'officially neutral' I was unable to assist - though I did helpfully point her in the right direction.